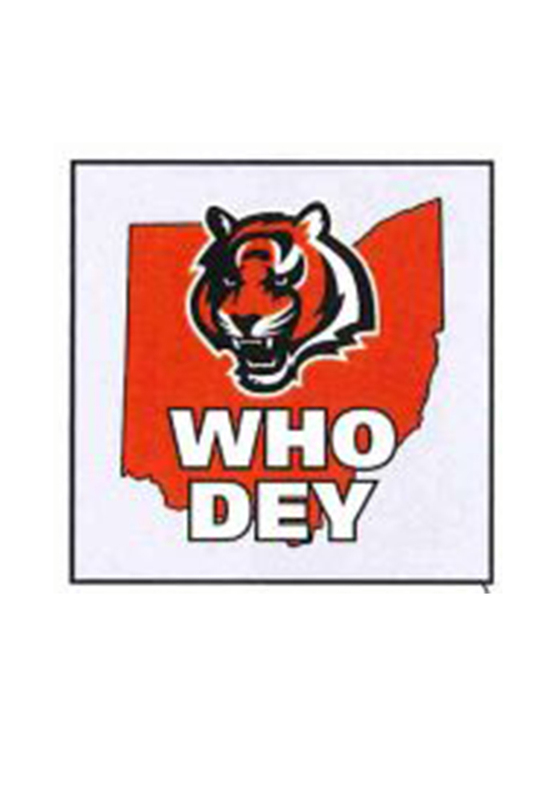 Make a bold statement for your Bengals with this Cincinnati Bengals Who Dey 4 Pack Tattoo. This Tattoo features a team logo with Who Dey with state of Ohio behind it. Go Bengals! !